The Razer Phone 2 just got official, further escalating the war for the ultimate gaming phone. With souped-up internals and a trove of new tricks up it sleeve, the Razer Phone 2 is definitely a fresh new arrival that makes the gaming niche that much more interesting. But how does the new phone differ from its precursor in terms of overall size and dimensions? 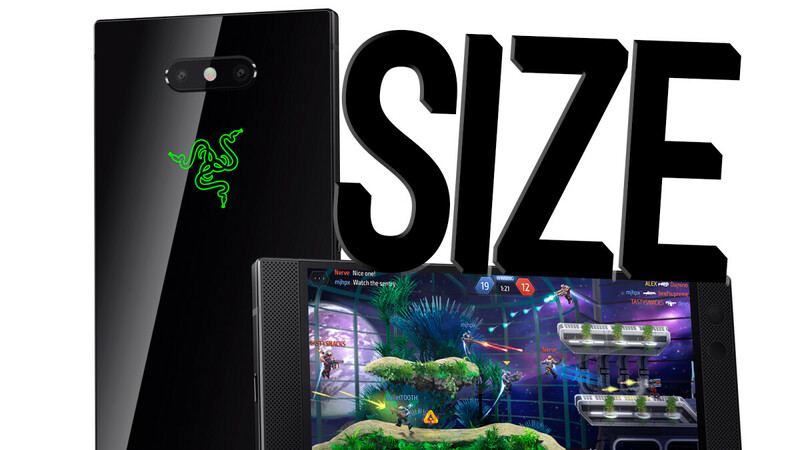 Aside from getting more powerful hardware, has the Razer Phone 2 grown in size or not? We are happy to report that the Razer Phone 2 is just slightly thicker and wider than the previous Razer Phone, but the overall footprint is very, very similar. We can attribute most of that to the fact that the display size has been kept the same at 5.7 inches and the bezels have remained mostly the same. I wonder why it's thicker and wider than the original. Probably to do with the vapor chamber covering the whole of the phone. No clue why it's wider. Smaller screen than the Note, and it's larger. No thanks. I find it hard to believe this phone was popular enough to warrant a successor. its a niche phone, its not meant to appeal to the mainstream although it's attempting to. The note 9 is an amazing phone, however it doesn't have some of the features that the Razer Phone 2 has.